Welcome back to the new year with resolutions at a high! We all know the new year is full of goals, fitness and sticking to them gets harder and harder for most of us towards the end of the month! People start to taper off of the gym around the third week of the month and honestly when other people stop showing up you start to think "maybe I could stop showing up!". WRONG. Keep up with your goals. About 2 years ago, January of 2015 I started going to the gym again. Transitioning from high school to college in terms of working out was really weird for me. I danced my entire life growing up for at least 2 hours everyday 6-7 days a week. Moving to college and not having that option, I was stuck trying to figure out what the gym was all about! I mean guys....hello....the gym can be super freaking scary and I spent two years of college failing my goals of going to the gym. I started running and hated the way that I felt but knew I needed to be doing something. When I met my now husband then boyfriend, his body...yes his body and motivation for this place called the gym was terrifying to me. I had my extra college weight and I was legit scared to pick up weights at the gym. I would go to the college rec center and just run on the treadmill for an hour then leave. That is not a sustainable way of working out. So, we started our new semester of school in the dead of winter, and he mentioned that he would help me get comfortable in the gym. I found some badass women on the internet and followed their programs. I learned that the gym wasnt a scary place and suddenly my body was starting to look like I did when I was dancing all the time! But, with fitness comes health. They go hand in hand. I hated protein shakes and really didnt get the appeal of drinking your meal, since I am a tangible eater. I love the crunch and the textures of foods and couldnt give that up with a 400 calorie shake. So I didnt! 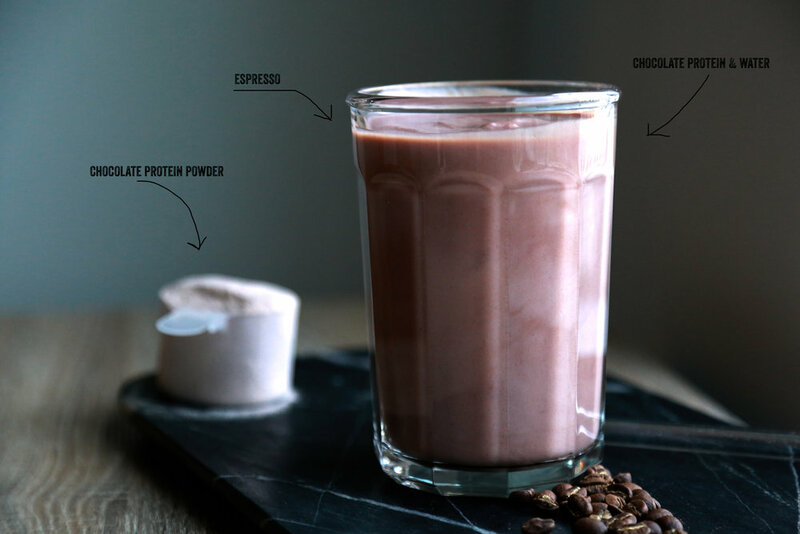 I started putting my morning espresso into my protein shake as a healthy jump start to my day! And luckily vegan protein isn't heavy or chalky tasting!